A Muslim by conversion since 1972. Serves as Resident Imam of Tauheed Islamic Center, Wilmington, NC. A student of Muslim Leader Imam W. Deen Mohammed. Presently serves as Co-convener of the Imams Consultative Body of North Carolina (ICBNC). He has performed Hajj twice, 1984 and 2001.
education at Cape Fear Technical Institute and received an Associate Degree in Instrumentation and Control Technology. Worked for Progress Energy for 33 years and retired March 1, 2008. A frequent guest of many area churches, schools, and participant in many public forums. He is featured in North Carolina Portraits of Faith, a pictorial history of religions in North Carolina. American Veterans Association and presently serves as (MAVA) National Quartermaster. In his local VVA Chapter he serves as Chaplain and Minority Affairs Representative. countries focusing in the areas of religion; inclusive of education, business, culture and government and working to establish a relationship for agricultural possibilities. Turkey, South Africa, South Korea, Paraguay and Rome. Completed 9 week class and graduated November 10, 2016 from the FBI Citizens Academy program. as well as within the continental USA. Invited to Kenya as Guest of UN Aid & Reachout Rehab in Mombasa, visited Nairobi, Mombasa & Malindi representing SFMCC & IWDM Month trip. Program Director of Cameo House; transitional housing for 11 women and 2 children each. Married to D. Hafsah Al-Amin four children Qadir, Saidah, Bilal, Darisah; five grandchildren Nailah, Shaniah, Ryad, Idris, Razariah. 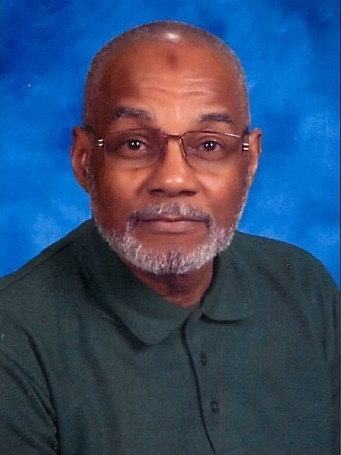 Assistant to Imam W. Deen Mohammed in Islamic Studies and childhood friend, Darnell (Karriem) Karim has been a practicing member of the Muslim community for over seventy four years, his entire education was attained under the directions of The University of Islam/Clara Muhammad School system. Imam Darnell Karim began his studies in the Arabic Language and Islamic studies at the age of eleven. His instructors of the Arabic Language were several, however, the most effective teacher was Professor Jamil Diab who was his instructor for ten (10) years. Professor Diab was a Palestinian Muslim and an Azhar University graduate located in Cairo Egypt. His childhood friend and classmate was Imam W. Deen Mohammed who became the world wide respected Muslim Leader to over 2.5 million, and among other classmates include his wife, Gloria, sister Zahira and the younger brother of Imam Mohammed Dr. Akbar Muhammad an Associate Professor at Binghamton University. Imam Darnell Karim continued his studies under the Leadership of Imam W. Deen Mohammed, and became an Instructor of Islamic Studies and Arabic language at the Clara Muhammad School from 1976 to 1987. He frequently travelled to many Masajid (Islamic Centers) throughout the United States to instruct Muslim adults in Islamic studies and the Arabic Language. He is an advocate supporter of the leadership and association of Imam W. Deen Mohammed, may G-d give him the highest place in paradise. Imam Karim‘s recitation of the Holy Quran is considered equal to native born Arabic speakers with the highest spiritual quality. His first recitation publicly at the age of 13 was at the Muslim annual convention in Chicago, Illinois February 26th, 1950 which brought tears to the eyes of the late Hon. Elijah Muhammad. Imam Wahy-ud Deen Shareef is the third child of Laura and John Wilson’s four children; John II, Intisar and Deborah. He and his wife Helima share their lives with four children: Ronald, Anita, Shakir, and Laila; eight grandchildren: Rashonda, Ronald II, Mathew, Eric, Brandon, Brianna Aliyah, Gerelle Amir and Anissa Na’ilah; two great grandchildren: Jaylin and Kori; and many nurturing family and community members. Imam Shareef completed his Hajj to the Ka’bah in Makkah in 1987. He represented Imam W. Deen Mohammed (raa) at the World Conference on Religion and Peace in Tokyo in 1998. He was a delegate at the historic Millennium World Peace Summit of Religious and Spiritual Leaders at the United Nations in NY in 2000. As a delegate Imam and business person, he attended the Tuskon Business Conference in Istanbul, Turkey in 2010. In 2012, he received the Peace Islands Intitute's “Peace and Understanding” Award; he attended an Iftar (breaking of the Ramadan Fast) at the White House as a guest of President Barack Obama; and he co-lead an NICHP interfaith delegation of 11 Jews, 11 Christians and 11 Muslims to Palestine/Israel. As an invited Muslim delegate, he attend the Focolare Interreligious Convention in Rome, Italy in 2014. Imam Shareef co-founded Waris Associates Inc. in 1984, which led to the establishment of the Waris Cultural Research and Development Center and Masjid Waarith ud Deen in Irvington NJ. He is a student of Imam W. Deen Mohammed (raa) and the Imam (religious leader) of Masjid Waarith ud Deen. These organizations develop and implement spiritual, educational, recreational, cultural and social programs that address the challenges facing American families today. He also serves as the Executive Director of ComWealth Economic Development Corporation (EDC), a non-profit economic development corporation. He is the Convener of the Council of Imams in New Jersey and co-founder of the New African Partnership between CINJ and City National Bank in Newark. He is a co-founder of the Newark Interfaith Coalition for Hope and Peace. He is a member of the NJ State Attorney General’s Outreach Advisory Council. W. Deen Shareef is currently the President/CEO of his own consulting company, Shareef Professional Services LLC (SPS). SPS provides project, program, construction, financial and administrative management services. The company’s services include staff and workforce development, team building and project coordination for business and commercial projects from concept design through implementation. He established and is the former Director of the Newark Port Career and Business Development Center in the Department of Economic & Housing Development in the City of Newark, New Jersey. He was responsible for business and workforce development in the areas of the airport and seaport, focusing on the transportation, logistics and distribution industries. He was a Senior Advisor to former Mayor, now Senator, Cory A. Booker representing the State of New Jersey in the United States Senate. He gradulated from East Orange High School and received his Bachelor of Science degree in Mechanical Engineering from New Jersey Institute of Technology in Newark, NJ. He retired after 25 years of serving as a Engineering Project Manager for Kraft/Nabisco Foods. In his position at Kraft/Nabisco he managed major capital equipment manufacturing project installations for processing and packing consumer food products and represented Kraft at a UN sponsored business development mission to the Gambia in 2002. He is a frequently invited speaker on numerous college campuses and at corporate and public sector events. He has appeared as a commentator and contributor on several television programs presented by CNN, MSNBC (Morning Joe), ABC, PBS, NJTV and Ebru. As a consultant he serves as a director on several boards. As an inspirational speaker he conducts lectures, workshops, counseling, education and training programs for organizational and project management, ethical and moral guidance, personal and professional management, social responsibility and how to achieve productive ethically, intellectually, spiritually, and materially balanced lives. Imam Earl S. El-Amin was raised and educated in the Baltimore Metropolitan area and is a graduate of Morgan State University and Sojourner Douglass College. For well over 30 years he has served in various capacities of leadership in the Muslim community as well as the community at large. He has conducted numerous workshops, forums and trainings throughout the United States and abroad to educators, theologians, social workers and human service practitioners. Imam El-Amin was a member of several distinguished delegations accompanying Imam Wallace D. Mohamed abroad, representing Muslim American interests; he was a participant in the first historic dialogue between Imams and Rabbis in North America, and also was present at President Barack Obama’s presentation to Muslim leadership in Baltimore. Imam El-Amin is the Resident Imam at the Muslim Community Cultural Center of Baltimore and also serves as Vice President of Program Development at the National Centers on Institutions and Alternatives which is a human services organization that is comprised of over 600 employees. His objectives for the Muslim community in Baltimore includes the establishment of model neighborhoods, improving the overall image of Islam, interfaith initiatives and the development of Muslims in business, education, politics and culture. 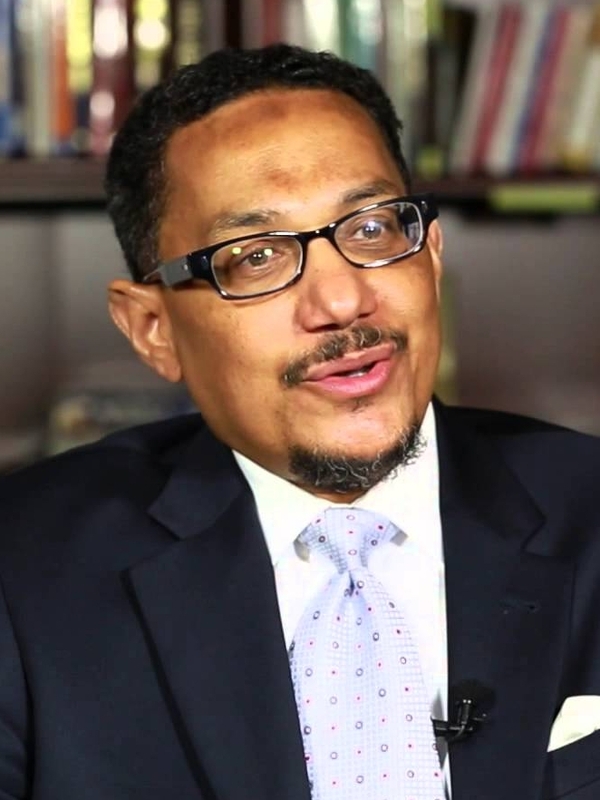 Imam El-Amin has made numerous guest television and radio appearances on CSPAN “The Bottom Line,” “To the Point”, “Newsnight”, “Interfaith Roundtable”, “Xchange”, “Marc Steiner Show”, and many more. Imam Earl El-Amin is a husband and proud father of three children. Faheem Shuaibe Resident Imam of Masjidul Waritheen in Oakland; lifelong student of Imam W. Deen Mohammed (ra). Founder of M.A.R.I.A.M. (Muslim American Research Institute Advocating Marriage) and The Sacred Life Project. Inducted into the African American Intellectual Royal Family. Addresses audiences across the country on religion, world politics, human relationships and societal evolution. Hosts the website "aclearunderstanding.net" and 6 weekly Blogtalk Radio broadcasts, A frequent lecturer on Cal Berkeley's "Holy Hill" for the Graduate Theological Union (GTU) which trains doctoral and post doctoral students of Philosophy, Theology and Interfaith and American Baptist Seminary of the West. Past board member of ING an international interfaith education organization. Comments on contemporary issues in the Muslim Journal, The Wall Street Journal, the Tribune, The Chronicle, The Mercury news, The NY Times, The LATimes, National Geographic, USA Today, The CS Monitor and others. Consulted on the award winning PBS film projects on Islam in America. A delegate for several educational, religious, interfaith, and peace missions to Saudi Arabia, Italy, Sudan, Malaysia, Egypt, The British Isles and the Caribbean. He has received municipal proclamations and the Key to the City as well as the Phi Beta Sigma Fraternity’s Notable Citizen Award. Currently working with an "A list" of intellectuals, professionals, religious leaders and career diplomats on the "Abraham Family Reunion Project" a national interfaith project. Imam Faheem and Yolanda Mahasin have been married for 42 years and from this union they have 4 children and 3 grandchildren. Imam Muhammad Abdul-Aleem has been involved with on-going Islamic projects since his early conversion to Al-Islam in 1968. In 1968, he also began the development of the five-volume concordance to the Holy Qur’an. This project has molded his Islamic character and provided a framework for his later work as an Imam. He attended the Imam Muhammad ibn Saud Islamic University of Saudi Arabia in 1977, and spent two years studying Arabic Language, Islamic law and Quranic studies. Afterwards, Imam Abdul-Aleem returned to Philadelphia, where he earned a graduate degree in secondary education, with concentrations in physics and environmental science. Imam Abdul-Aleem presented a clear understanding of the Holy Qur’an and Qur’anic Arabic language as a teacher of imams and teachers of the Muslim American community. He served as principal of Clara Muhammad Schools in New York City and Philadelphia. Imam Abdul-Aleem was a member of the Muslim American delegation invited to Saudi Arabia at the inception of the Gulf Crisis in the Middle East. This delegation traveled to Saudi Arabia several times and developed declarations reflecting the findings of Muslim scholars and religious leaders from around the world. Imam Abdul-Aleem supports the religious and social initiatives taken by the late Imam W. Deen Mohammad to uplift humanity and promote human excellence. He served as the resident Imam of Masjidullah in Philadelphia, Pennsylvania from 1982 to 2001. He currently serves as a visiting guest lecturer at mosques throughout the country. He also serves as the imam emeritus at Masjidullah. Imam Abdul-Aleem has been recognized by various civic and charitable organizations for his leadership and scholarship. In 2013, Imam Abdul-Aleem received a Lifetime Achievement Award from CAIR-Philadelphia. Imam Abdul-Aleem continues to present the message of Al-Islam and its impact on African-Americans and the global community at various campuses. Imam Abdul-Aleem is the author of several books including Vocabulary of the Holy Qur’an, Concordance to the Holy Qur’an (Volumes 1-5), The Excellence of Worship and Islamic Lectures, Volume 1). He is married to Bayyinah Abdul-Aleem, and the father of four children. Imam Qasim Ahmed is the Founder and director of the Islamic Learning institute, Inc., where numerous students of the Qur'anic Arabic language and Islamic Studies have been taught to read, translate and understand the meaning of Qur'anic Arabic. The Institute was founded in 1978 as a mobile school offering Arabic classes in various cities within the United States. Imam Ahmed's teaching and training experiences have resulted in the production of teacher training literature, Qur'anic study workbooks, Arabic books and a huge collection of CD and DVD lectures series to aid and assist others in studying and learning more about the religion of Al-Islam. His most recent development is a program called, "How to Make the Qur'an to Read: The Internalization of through the Subconscious Mind." Students are encouraged to read the Qur'an with their subconscious mind, even though they are not able to read the Arabic Script. In his continuing efforts to educate others and to propagate the religion of Al-Islam, Imam Ahmed has traveled extensively in the United States and abroad. He has traveled to the Holy city of Mecca, Saudi Arabia to perform the Hajj ritual. Some of the others countries he has traveled to include China, Japan, Indonesia, Africa, Canada, Hondurus, U.S. Virgin Islands, and Bermuda. On April 27, 2009, he was invited to perform the opening prayer for the House of Representatives in Tallahassie, Florida, making it an historic event. Imam Ahmed's forty plus years as an Islamic worker provide him with the experience, initiative and direction that make him most welcomed wherever he travels to teach. He is currently resides in Houston, Texas and continues to travel across the country to share the jewels of the Qur'an and the language and teachings of Imam W. D. Mohammed. Shahidah Sharif has always envisioned herself as a helper of people, a speaker of truth, and a global citizen. She has an extensive background in Islamic education and community service from a young age. She began working with organizations and schools such as Muslim Youth of North America and Clara Mohammed School of South Florida, Oakland, CA, and Atlanta. She has also worked with the Islamic Society of the University of Miami and United Youth Leadership Forum of the Bay Area. She studied for three years at the Abu Nour University in Damascus through the Mosque Cares with a focus on the Arabic language and the Islamic Sciences. She currently serves on the Board of Sisters United in Human Service, Inc, as the Communications Director of the Atlanta Masjid of Al-Islam, and is co-founder and COO of Professional Hajj and Umrah Guides, LLC, organizing delegations annually with her husband for the Hajj (pilgrimage) to Makkah, Saudi Arabia and study abroad opportunities. She currently resides in the East Atlanta neighborhood with her husband Imam Sulaimaan Hamed, son Sultaan, and her daughter Saaliha. Talib M. Shareef, is President and Imam of the historic, Nation’s Mosque, Masjid Muhammad, located at 1519 Islamic Way, (4th Street), NW, Washington, DC. Imam Shareef, is a retired Chief Master Sergeant of the United States Air Force after 30 years, and holds a Masters of Business Administration from American Intercontinental University, a Diploma from the Imam Muhammad ibn Saud Islamic University, and is a graduate of the Defense Language Institute Foreign Language Center in Arabic and Middle East studies. He is a student of the late Imam W.D. Mohammed, Muslim-American Spokesman for Humanity. Imam Shareef served as Imam in five U.S. cities and seven military locations around the world, and as convener, Georgia State Association of Imams. He led a historic interfaith delegation to Italy and received for a meeting at the Pontifical Council for Interreligious Dialogue. He was one of the signers in Nigeria to the Abuja Peace Declaration organized by the International Global Peace Foundation and the Institute for Peace and Conflict Resolution. He was the first Imam with military service to offer prayer at an opening session of the U.S. Congress. Co-organized, spoke and led the historic Islamic congregational prayer at the Washington National Cathedral. He offered the opening prayer on the steps of the Lincoln Memorial for the 50th Anniversary of Dr. King’s March on Washington; the first Imam to serve as a speaker for former President George H.W. Bush’s Points of Light Conference on Volunteering and Service Faith Summit; Serves on council for the National Summit on Non-Violence; Speaker for the South African Embassy celebration of Nelson Mandela’s 95th birthday; led historic delegation to and addressed over 500,000 in South Africa; Speaker at Sojourner Douglass College for the memorial honoring human rights activist, Coretta Scott King; Speaker at the memorial service for former Mayor Marion Barry. He addressed the ills of Human Trafficking on Capitol Hill. He co-established first Islamic Dietary Nutrition site for elderly members of all faiths in D.C. He was appointed to Mayor Interfaith Council; Senior Islamic Leader and Board member of the Interfaith Conference. Imam Shareef was honored to sit with and be recognized for his service by President Barack Obama at the White House Iftar in 2011 and he served as keynote speaker for the Pentagon and Homeland Security Iftars, and for the first and subsequent Iftars hosted by an Israeli Ambassador to U.S. He co-founded the organization which facilitated the U.S. Military commissioning its first Islamic Chaplain; co-organized the first US Military Hajj Program in 1992; Islamic Representative on National Coalition for Veteran Caregivers, National Imam of the Muslim American Veterans Association (MAVA). Officiated and documented the first Islamic burial internment, rites and gravesite preparation for a Muslim veteran buried in a Veterans Administration (VA) National Cemetery. Senior Advisor, to the first American Islamic Heritage Museum in D.C. National Advisor to Global Peace Foundation, USA; Only U.S. Imam to speak at the World Alliance of Religions for Peace in Seoul Korea, and at the Global Peace Convention in Paraguay, South America. His military service yield’s major honors and medals. Other awards include Denver’s Spectrum Newspaper’s “Who’s Who” among African American Leaders; Muslim Journal’s 2011 Imam of the Year; Command Roy Wilkins NAACP Leadership Award. Imam Shareef and wife, Tahirah, have three children, seven grandchildren, are custodial parents of three others and have served as foster parents for several children. Imam Tyerre El Amin was born & raised on Galveston Island, 30 miles south of Houston. He accepted AL Islam in 2002 and 4 years later was introduced to the language & scholarship of Imam WD Mohammed(RA). Imam Tyerre has trained in Houston under the leadership of Imam Wazir Ali for the past 10 years where he serves as associate Imam at both Masjid WD Mohammed & Masjid AL Qur'an Mercy Community Center. He has served in the capacity of program coordinator for multiple Islamic programs. Imam Tyerre El Amin has always been one to participate and initiate programs that benefit the outer community as well, to educate and teach the true religion of Islam. He is an up and coming motivatonal/inspirational speaker that connects intimately with the community at large and frequent lecturer throughout the city & country. His most recent accomplishment is cofounding and the program director of the Iron Man Club, Inc a non profit 501c3, a leadership development program for inner city male youth, inspired by the conceptual language and scholarship of Imam WD Mohammed. He is also the founder and director of Light of Perception, a Human Development and Thinking ModificationProgram. Tyerre El Amin holds a bachelor's degree from The University of Houston -Clear Lake in kinesiology and is the proud father of 2 sons, Qasim & Khalil. Imam Yahya Abdullah is the Imam of The Islamic Association of Desoto, Texas, founded in 2002. He was Imam of The Dallas Masjid for 18 years and established a full time Sister Clara Mohammed School in 1983. He performed Hajj to Mecca, Saudi Arabia in October 1981. Imam Abdullah attended the Arabic Language Program at the Saudi Academy in Washington, D.C. in 1987, where he was class valedictorian. Imam Abdullah was a presenter at the 11th Annual Dawah Conference held in Cairo, Egypt at Al-Azhar University in 1988. In 1988, he co-produced a nationally aired documentary, The Hajj, Pilgrimage to Mecca. In that same year, he founded African-American Men Against Narcotics (AAMAN), a group dedicated to drug prevention and rehabilitation, and was also featured in a nationally acclaimed documentary on PBS entitled War on Drugs. Imam Abdullah is the author of four books; Elements of Progressive Leadership, Dynamics of African-American Male Development – Manhood Training Curriculum Outline, Religion is the Solution to the Crime Problem in America and Developing the Human Potential. Imam Abdullah visited Saudi Arabia with Imam W. Deen Mohammed on four occasions, March 1990, September 1990, January 1991 and February 1991. In 1995, he was a co-sponsor and organizer of the ‘Dallas Acts Kind’ week, whose participants included Imam W. Deen Mohammed, Mrs. Rosa Parks and Martin Luther King III. In 1998, he organized and co-sponsored a major conference on diversity, ‘Future Global Trends of the 21st Century’. In 2006, Imam Abdullah and the Muslims of Masjid Muhammed, Bermuda, organized and founded BAN (Bermudians Against Narcotics), a community protest and intervention group dedicated to eradicating illegal drugs from the island paradise of Bermuda. Over the past 25 years, Imam Abdullah has participated in numerous interfaith dialogues with Christians, Muslim, Jews and other faiths, within Texas, across the United States and Bermuda. He is the recipient of numerous awards and proclamations, from cities across the United States of America, for his dedication to community service. President Bill Clinton and President George W. Bush were among those who presented him with community service awards. He is a student of Imam W. Deen Mohammed and was his personal friend. He assisted Imam W. D. Mohammed with Group Volume Buy imports from China. Group Volume Buy successfully imported two thousand high quality men’s business suits in May 2008. Group Volume Buy will also import women’s clothing and accessories. He is presently continuing the business initiatives of Imam W. Deen Mohammed. Imam Abdullah is a frequent lecturer throughout the United States and the Caribbean at colleges, universities, radio/television stations and banquets. He has traveled extensively and has lived in the African countries of Tanzania, Kenya, Uganda, Zaire and Egypt. He is currently involved in the development of an Islamic Community on eight acres of land in Desoto, Texas. The community will consist of a Masjid (mosque), school, cultural center, housing, businesses and an assisted living facility for the elderly. Mr. Yusuf Saleem is recognized as a dynamic leader in the American Society of Muslims who identify with the late Imam W. D. Mohammed. Yusuf Saleem is a graduate of Howard University, where he received the Bchelor of Arts and Master ofEducation Degrees. He served as resident Imamof Masjid Muhammad as well as Director of Education at the Clara Muhammad School in Washington,D.C. from 1990 –2010 . Teacher Saleem has taught ln Catholic, Public, and Muslim school settings and has taught and has held positionsof principal. teacher, andprofessor. Professor Saleem was appointed by Imam W. D. Mohammed as the National Director of Education for the American Society of Muslims’ School System for the period of 2000 to May 2003. During the first four months of his term as Director , Professor Saleem visited over 15 full-time Clara Muhammad Schools located across the nation to assess their overall status and to determine the steps needed for integration into a schoolsystem, the first of its kind to existin this country. Imam Saleem has been a presenter on Islamic Education and the universal aspects of education at schools, churches, and forums, and also at the yearly national Islamic Conventions. In March of 1990, Professor Saleem accompanied a national delegation of educators to Saudi Arabia at the invitationof King Fard, Custodian of the two Holy Places (Mecca and Medina). The delegation had the rare opportunity to enter and view the interior ofThe Ka’abah, which very few Muslims have experienced. In July and August of 1997, Imam Saleem and his wife accompanied a delegation of young Muslim men and women to the country of Malaysia at the request of Imam W. D. Mohammed. For two weeks, their itinerary took them on many formal and informal visits. The Muslim Youth Group, ABIM, hosted them. After the brutalattacks on America in September of 2001, Imam Saleem met with President Bush and other Muslim leaders to condemn the attacks and to present a unified front againstterrorism. Acting as spokesman for the meeting, his remarks, along with the President’s , helped to deter the attacks, and clarified for the American people the peaceful nature of the religion of Islam. Consquently,On October 24, 2001, the leadership of the U. S. Senate was prompted to invite Imam Saleem to speak on Islam at their weekly Prayer Breakfast(the first guest speaker in 50 years). He also formally opened the U. S. Senate with prayer, following in the footsteps of the invocation given by Imam W. D. Mohammed in 1992. By invitation of the first Muslim Congressman, Keith Ellison(Democrat-Minneapolis, Minnesota) , Imam Saleem has the singular, distinct honor of being the only Imam to open both the U.S. Senate and U.S. House of Representatives(September 25, 2007). In recognition of Imam Saleem’s hard work and dedication, the National Capital Area branch of the National Conference for Community and Justice(NCCJ) recognized him as a Community Leader in May of 2002. In August2002, Imam Saleem joined other Faith Clergy in receiving the First Mayoral Clergy Award, presented by Anthony A. Williams, Mayor of Washington, D. C. In September of 2002, The American Society of Muslims selected him as the Muslim Man of the Year for 2002. Metropolitan Police Department Chief Charles H. Ramsey appointed Imam Yusuf Saleem as the first Chaplain of the Islamic Faith to the Washington D. C. Police Department. Imam Saleem is married to Maryam Saleem, also an educator, and they have four adultoffspring. Yusuf Saleem always gives credit to ALLAH(G-D) for any successes and strives to serve ALLAH(G-D) by serving humanity.